The California Air Resources Board, also known as CARB or ARB, is a part of the California Environmental Protection Agency (CalEPA). CARB’s mission is to promote and protect the public health, welfare, and ecological resources through the effective and efficient reduction of air pollutants while recognizing and considering the effects on the economy of the state. In 2008, CARB adopted the Airborne Toxic Control Measure (ATCM) to Reduce Formaldehyde Emissions from Composite Wood Products (Title 17, Code of Regulations 93120-93120.12). 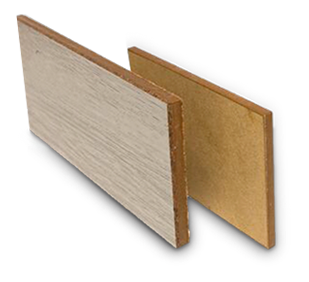 Commonly referred to as “CARB 93120”, the ATCM established formaldehyde emission standards for composite wood products including hardwood plywood, medium density fiberboard, and particleboard. The regulation also established requirements pertaining to the manufacture, fabrication, import, distribution, and sale of composite wood products as well as finished goods containing composite wood components in the state of California. To comply with CARB 93120 regulations, manufacturers of composite wood products must establish a comprehensive quality control system and conduct routine testing to ensure the composite wood products they manufacture consistently meet CARB 93120 formaldehyde emission standards. The manufacturer’s quality control system and test methods must be independently audited and certified by a Third Party Certifier (TPC) such as Benchmark International (BMH) who is authorized by CARB to issue certifications. Only manufacturers who have achieved and maintain TPC certification are authorized to manufacture composite wood products intended for import, distribution, and sale in the state of California. For a list of CARB ATCM 93120 certified clients, please click here. Benchmark International (BMH) is an IAS-accredited third party certification, inspection, and test agency approved by CARB to certify composite wood product manufacturers who have been audited and confirmed to comply with CARB regulations. Whether your facility is currently certified or needs to become certified, BMH will tailor a program to meet your needs and satisfy the requirements of CARB 93120. With a 60-year history of testing and certifying wood products around the world, Benchmark knows what it takes to produce a quality product. Combine the Benchmark Certification and Testing Advantage Program with our Global Engineering & Construction Services and you now have a full service agency ready to support your every need. Benchmark is here for you from top to bottom – no other agency has you covered like Benchmark does. Once initial TPC certification is achieved through BMH, our client mills must undergo quarterly site audits and independent product testing to verify continued conformance to CARB 93120 requirements. BMH offers comprehensive client monitoring and support services to help ensure our clients consistently produce compliant products for the California market. In addition to manufacturer certification services, Benchmark International offers a wide array of services designed to assist fabricators, importers, distributors, and retailers who wish to verify the composite wood products they source conform to CARB 93120 requirements prior to secondary fabrication or distribution. BMH understands that every organization’s compliance needs are different. Benchmark’s support services are uniquely designed to address each client’s specific requirements to include training, compliance program consulting, product testing, and third-party site audits/inspections. Our impartial verification services help give your customers confidence in your commitment to compliance and help you mitigate the risk of potentially noncompliant composite wood products from entering your supply chain. Unlike other agencies who charge you extra to use their logos, we let our clients use our logo for free. With our logo on your products, you demonstrate your dedication to CARB requirements by using a U.S.-based agency with its own expert inspectors and laboratory. If your customers have technical questions about your certified products, they can speak with us directly and get immediate answers. They are welcome to visit our laboratory any time. In today’s market, many “certification agencies” outsource the most important components of certification—testing and inspection. By choosing Benchmark, you give your customers peace of mind because your products are certified right here in the United States. Recent media reports have led many homeowners, retailers, and other interested parties to request testing services for products containing composite wood products, to include laminate and engineered flooring. In addition to our client certification and support services, Benchmark International also offers independent product testing services to the general public. Please contact us for more information. We appreciate your interest. As an accredited test laboratory, Benchmark International offers formaldehyde testing services that conform to California Air Resources Board (CARB) test methodologies and standard operating procedures. The video above demonstrates a portion of the process used to prepare a laminated finished good containing an MDF core for subsequent formaldehyde testing according to CARB finished goods sample preparation procedures. The video above demonstrates a portion of the process used to prepare a laminated finished good containing an MDF core for subsequent formaldehyde testing according to CARB finished goods sample preparation procedures. The California Air Resources Board (CARB) is the clean air agency within the California Environmental Protection Agency (CalEPA). CARB established and implemented the Airborne Toxic Control Measure (ATCM) to Reduce Formaldehyde Emissions from Composite Wood Products (commonly referred to as “CARB 93120”). In 1992, the state of California designated formaldehyde as a toxic air contaminant with no safe level of exposure. California state law requires CARB to take action to reduce human exposure to all substances designated as toxic air contaminants. CARB subsequently evaluated formaldehyde exposure in California and found that one of the major sources of exposure was from inhalation of formaldehyde emitted from composite wood products containing urea-formaldehyde resins. As a result, CARB developed the CARB 93120 regulation to limit the formaldehyde emissions of composite wood products and support its obligation to protect the health of California citizens. The Airborne Toxic Control Measure (ATCM) to Reduce Formaldehyde Emissions of Composite Wood Products (commonly referred to as CARB 93120) is a set of regulations developed by CARB that establishes formaldehyde emission standards applicable to composite wood products and specifies requirements applicable to the manufacture, fabrication, import, distribution, and sale of these products in the state of California. The regulation also established a framework to define the requirements of Third Party Certifiers (TPCs) authorized to provide third party certification services to composite wood product manufacturers. What types of products are subject to CARB 93120 regulations? In addition, finished goods such as cabinetry, furniture, and flooring constructed of or containing composite wood components are also subject to CARB 93120 requirements. Who must comply with CARB 93120 regulations? Who should get certified to CARB 93120? Primary manufacturers of composite wood products who have established the required quality control systems and who wish to import, distribute, or sell their products in the state of California are eligible for third party certification. Alternately, manufacturers who use No-Added Formaldehyde (NAF) or Ultra-Low Emitting Formaldehyde (ULEF)-based resins may be eligible for exemption from CARB 93120 third party certification requirements. BMH will help you decide which method is best suited for your situation and will tailor a program to meet your specific certification needs. Fabricators, importers, distributors, and retailers are not eligible for third party certification under CARB 93120 regulations. However, BMH has established programs to assist these entities who wish to verify their suppliers and the composite wood products they deliver conform to CARB 93120 requirements prior to secondary fabrication or distribution. Are CARB 93120 standards only recognized in California? Currently, CARB 93120 only addresses formaldehyde emissions and compliance of composite wood products manufactured, imported, distributed, or sold in the state of California. When the United States (US) Senate Bill 1660 was signed into law in 2010, it established the Formaldehyde Standards for Composite Wood Products Act. This US federal law directs the U.S. Environmental Protection Agency (US EPA) to establish formaldehyde emission standards similar to that of CARB 93120 for composite wood products (and finished goods containing composite wood components) imported, distributed, or sold throughout the United States. The US EPA is currently working to craft the final regulation which is expected to be approved by early 2016. More information regarding pending EPA regulations for composite wood products can be found by visiting our website. A Third Party Certifier (TPC) is an independent agency approved by CARB to issue certifications to manufacturers who have implemented the required quality control systems and demonstrated the ability to consistently produce composite wood products that meet CARB 93120 formaldehyde emission standards. TPC’s such as Benchmark International (TPC 2) are contracted by the manufacturer to independently audit their quality system and perform periodic formaldehyde emission tests to verify the manufacturer is consistently producing compliant products. What are CARB-approved formaldehyde test methods? CARB recognizes several methods for measuring formaldehyde emissions including, but not limited to. How can my company become CARB certified? Once you have successfully passed the initial certification audit and testing, BMH will issue the certification. We will then establish a schedule to conduct routine quarterly audits and collect samples for compliance testing to monitor ongoing conformance to CARB requirements.